Laleh, a Swedish singer-songwriter, record producer, guitarist, pianist, actress and record company manager. Following a short acting career, she entered the music industry in 2005 with her self-titled debut album which peaked at number one in Sweden and went on to become the highest selling album of the year. 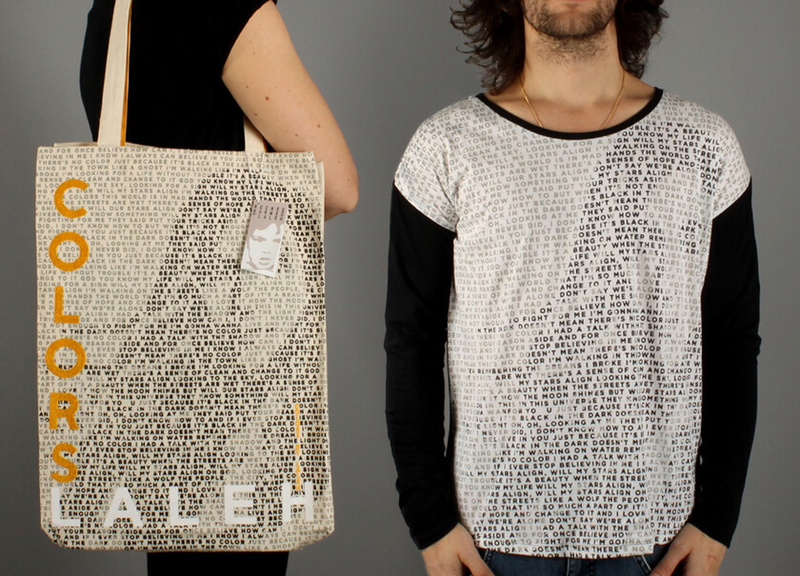 It was not until the opportunity to produce fair-trade, non-toxic products emerged that I decided to make my own merchandise, says recording artist Laleh. Lalehs new merchandise, produced by ATC is made from GOTS and Fairtrade certified cotton. Workers in our garment factory has been given additional payment to compensate the difference between minimum wage and living wage. The collaboration between Laleh and ATC started in 2013.